imagine your desktop deployment or migration projects without the administrative overheads. imagine a 100% paperless solution that tracks each device's progress in the cloud with access to real-time reporting for your customers or management. 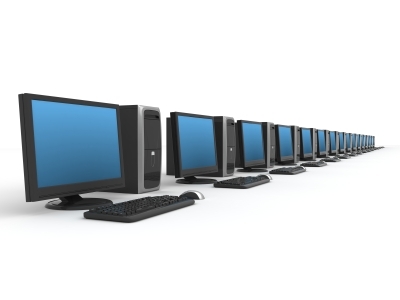 Managing desktop deployment or migration projects successfully can be a challenge. Engineers need well-defined processes, progress needs to be accurately tracked and reported on, end-user data stored locally can be a risk, and the administrative project overheads can be time-consuming. With impelDeploy, you can configure, manage and track your managed deployment or migration in the cloud. In our easy-to-use web portal, customise your deployment tasks as per your defined process. Use your customised application to track each device’s progress, collect audit data, and provide automation such as backing up and restoring end user data and settings. Monitor results and progress, and view audit information, all online in real-time as your project unfolds. impelDeploy gives you the automation to ensure your project is successful and end-user data is secure. Leverage built in tasks that take care of things like backup and recovery of user data, profiles and other essential information. Define tasks that are user-aware giving you the ability to handle varying scenarios, such as managing VIP users differently. Together, our SOE Portal and impelDeploy provide you with a single interface to build, maintain and deploy your SOE image. See our services overview to discover our full range of SOE-related services.